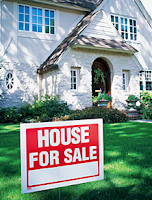 Janie Bress - My North Shore Blog: 7 Costly Mistakes to Avoid when Selling Your North Shore Home! 7 Costly Mistakes to Avoid when Selling Your North Shore Home! The fall season is always a great time of year on Chicago’s North Shore. The changing leaves, the crisp air and vivid blue skies invite us to enjoy being outdoors while getting our homes ready to cozy up for the colder months ahead. As a North Shore Real Estate agent, it’s always a great time of year as the fall real estate market tends to pick up! Buyers and sellers want to complete their transactions and be settled in their new homes before the holiday season. If you are considering selling your North Shore home this fall, it’s important to begin now so that you don’t feel rushed. When you’re hurried to sell, it’s easy to make costly mistakes. Below are the top seven mistakes sellers make and how you can avoid them when selling your North Shore home! Mistake 1: Putting the home on the market before it's ready. It’s important to not feel rushed to put your home on the market. If you have procrastinated or need to sell your home quickly because of extenuating circumstances; it’s important to get any home improvements or repairs done prior to putting you home on the North Shore Real Estate market. In this buyer’s market, people are looking for move in ready homes. It’s better to wait a week or two in order to make sure your home is presented properly. It will show better and sell more quickly. Mistake 2: Over improving the home for the neighborhood. If you’ve been making improvements or are planning on doing extensive updates prior to selling, it’s important to keep other homes in the area in mind. If your home is so far exceeds other homes in the neighborhood, it will no longer fit and you won’t be able to get the money out of it that you put in. Buyers will look at other homes for sale in the area and will most likely choose a great option that is not as pricey as your home. There is such a thing as over-improving. Mistake 3: Pricing the home based on how much you want to net. Pricing your home this way is unrealistic and will always end up failing. Talk with your North Shore Real Estate agent about pricing your home based on comparables and the current market. Overpricing your home will result in a longer time on the market, multiple price drops and fading interest in your home. Price is correctly from the beginning! Mistake 4: Hiring an agent based on non-business factors. Don’t be afraid to research listing agents. You want to make sure that your North Shore Real Estate agent is experienced in the market and has a proven track record of sales. Referrals from friends, or hiring a friend who’s an agent may not be the best solution for getting your home sold. Mistake 5: Getting emotionally involved in the sale of the home. This is one of the hardest things for sellers to do. The amount of time, money and energy you’ve put into your home can create an emotional tie when it comes to selling. The best thing you can do is look at your home objectively and trust the advice of your North Shore Real Estate agent. Mistake 6: Trying to cover up problems, or not disclosing them. It’s always better to fix any problems before putting your home on the market. Trying to cover them up or not disclosing them can result in buyers walking away or other legal issues. Mistake 7: Not getting your ducks lined up before trying to sell. It’s imperative to get your financing in order before you try to sell your home. You’ll want to take a realistic look at the market with your agent and determine whether or not to wait till your home is sold to buy your new home or vise versa. Your North Shore Real Estate agent can work with you to avoid any financial issues when it comes to selling. Again, as a North Shore Real Estate agent, I want to make sure you avoid as many mistakes as possible! If you have questions about selling or would like to discuss your home and how I can customize my selling strategy for your home; please contact me! I would love to help you get your North Shore home sold! Boost Your North Shore Home's Appeal This Fall!